Venturing Zenith is April 26-27th, sign up here! APEX has been moved to May 10-12. Sign up here! - Look at upcoming events in the calendar and sign up for ones you're interested in. If you are not sure if you will be able to make it, still register, but say you're a "maybe" in the comments. Thinking of joining? We'd love to have you! Venturing is a part of the Boy Scouts of America for young men and women who are 13 and have completed the eighth grade, or age 14 through 20 years of age. 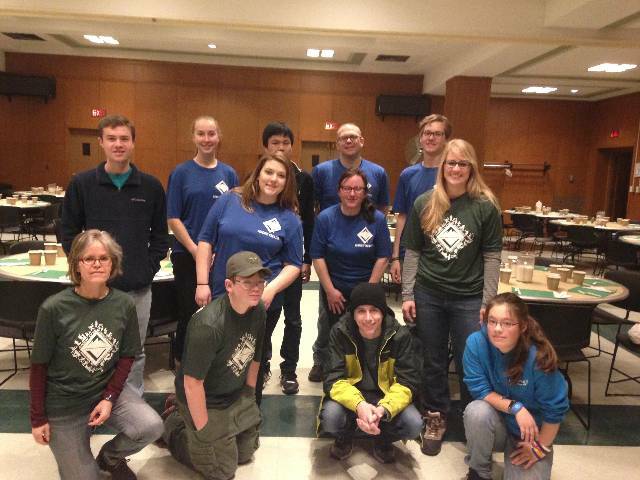 Venturing Crew 1775 meets every Friday night (when school is in session) from 7:30 to 9pm at MIT Lincoln Laboratory, 3 Forbes Road, Lexington. We participate in many activities such as a monthly outdoor trip (backpacking, ice climbing, etc. ), frequent STEM-based trips, various community service opportunities, and the occasional long-term adventure such as Florida Sea Base or Kandersteg International Scout Camp in Switzerland. No experience required. If you would like to join us or have any questions, simply contact the Scout Vice President of Administration, Ella Mattingly at mattinglyella@gmail.com, or contact the Committee Chair Jan Gunther at 781-652-0420. Serving Breakfast at a Soup Kitchen - Moved to June 15 and/or July 20! Help serve a delicious breakfast to the guests at a soup kitchen in Boston. The Soup Kitchen is run by the Paulist Center at 5 Park Street in Boston, in the church basement. They run a breakfast on the 3rd Saturday of every month, as well as a weekly dinner on Wednesday nights. The guests are the homeless and poor of the greater downtown area. Volunteers are needed to help cook (sometimes), plate food, serve, and cleanup. Guests are served restaurant style with servers going around the room with a prepared plate for each guest. This is very similar to many of the service projects the crew has done. 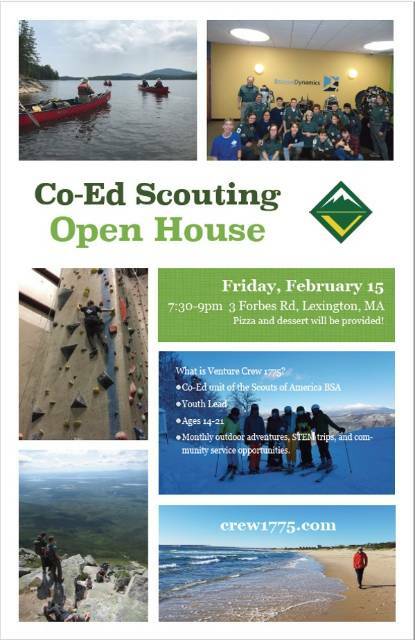 Come see what Venturing is all about! We believe that the Scouting experience should be available to all youth in our community, regardless of financial status. If your family can not afford the registration fee, please consult our committee treasurer Bernie Gunther in confidence at 781-652-0420. Help at Daily Table, a not-for-profit retail store in Dorchester. Daily Table serves the low income population as a store providing low cost groceries and ready-to-cook meals. More info about the service project can be found here. You must be 14 or above and healthy to participate. Closed toed shoes are required. Class B shirts are requested. Logistics - we need about an hour to drive to Dorchester, so we will meet at LHS at 11:30. Plan to return to Lexington at about 5:30. 2. Volunteer website - Please use Crew 1775 as the company/school name. You must sign up by January 15 to participate. Both Scouts and Adults must sign up. If you signed up previously to go to the soup kitchen, please indicate that you are still coming with a note in the comments column. POSTPONED DUE TO EXTREME TEMPS! Sign up for the ski trip! 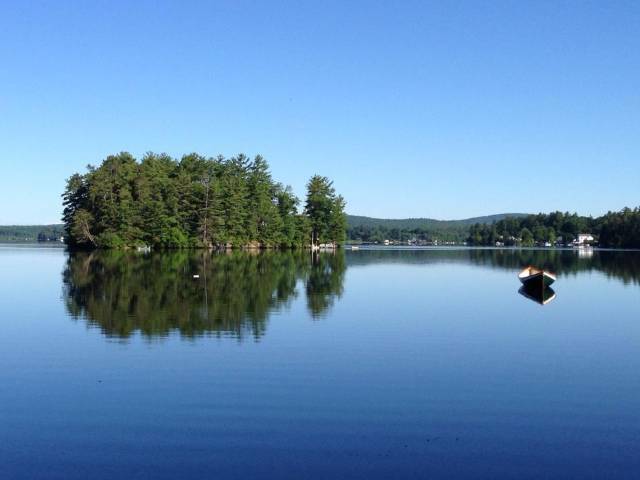 Location: We will be staying at the Mattingly’s little ski cottage in Jackson, New Hampshire, so space is a bit limited. 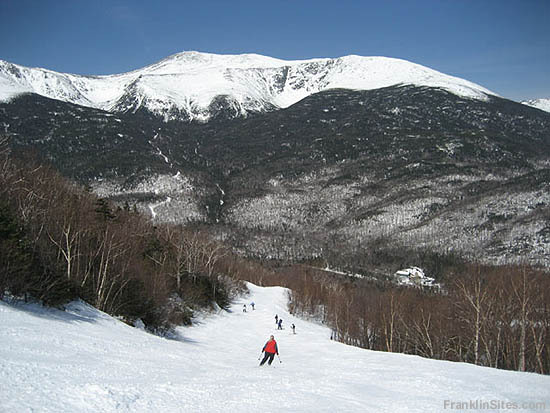 Schedule: We will be downhill skiing on Saturday at either Attitash or Wildcat Ski Mountain with an option of Cross-Country and we will be Cross-Country skiing on Sunday morning before we head back home. Spend a whole week in the woods doing things that you love! Wah-Tut-Ca offers an open program that lets you choose what you are doing and when: Waterfront / Aquatics; Climbing / COPE; Shooting Sports; Scout Craft; Sports; Handicrafts; Discovery (Nature and Science); Horses; Frontier. There are also Rare Adventures that includes things like Search & Rescue; Raft Building; Overnight survival; Discover SCUBA; Edible Food Hike; Mountaintops in the Area; Mountain Biking Expedition; Black Powder Rifle. July 16-22 will be Venturing Week, so you will get to meet other Venturers from the Spirit of Adventure Council. We anticipate that summer camp will cost about $290 this year. Sign up here.